We have yet another grey and rainy day here, so I thought Pelican Gray from the China Glaze Spring 2011 Anchors Away Collection was only fitting. This is a lovely dove grey creme with delicate hidden silvery shimmer. The formula on this shade was excellent, and I used two coats. This may be my favorite neutral grey shade! I added a coat of China Glaze Latticed Lilac from the Crackle Metals Collection. This sparkly lilac glitter shade is actually quite subtle in color--I had hoped for a richer purple hue like it looks like in the bottle, but I do like the muted look that it has. The formula was easy to use and I did apply a top coat to add some shine to the otherwise matte finish. 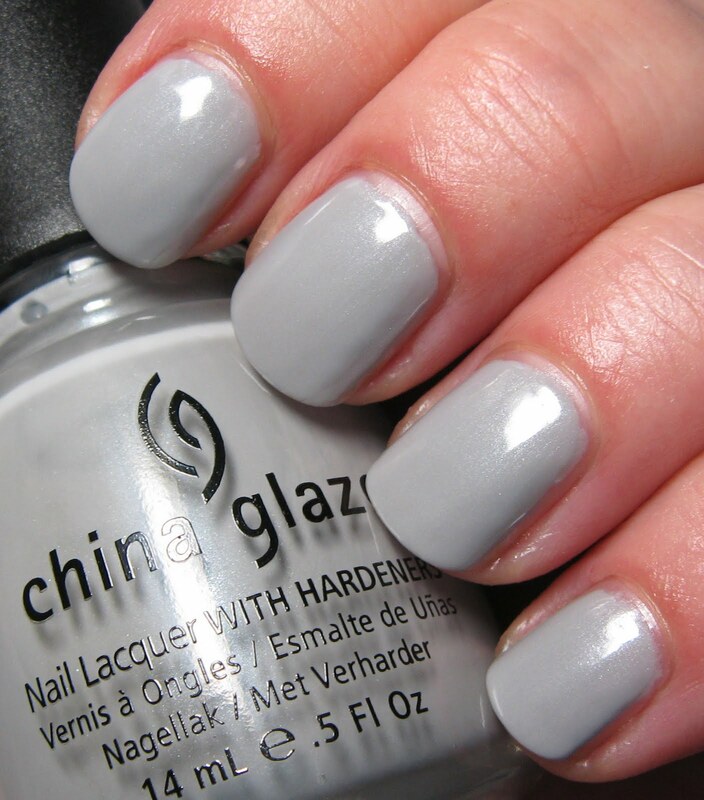 Victoria Nail Supply did receive a limited amount of the China Glaze Crackle Metals yesterday. I don't see them up on their site yet, but if you're interested, just send Yen an eMail. I don't know about your Summer, but ours has been filled with nothing but rain and clouds. If I didn't have my flowers to look at, I'd be seriously depressed by now. Here are some pictures I took this morning that I hope you enjoy, and I'm keeping my fingers crossed for some sun this weekend! 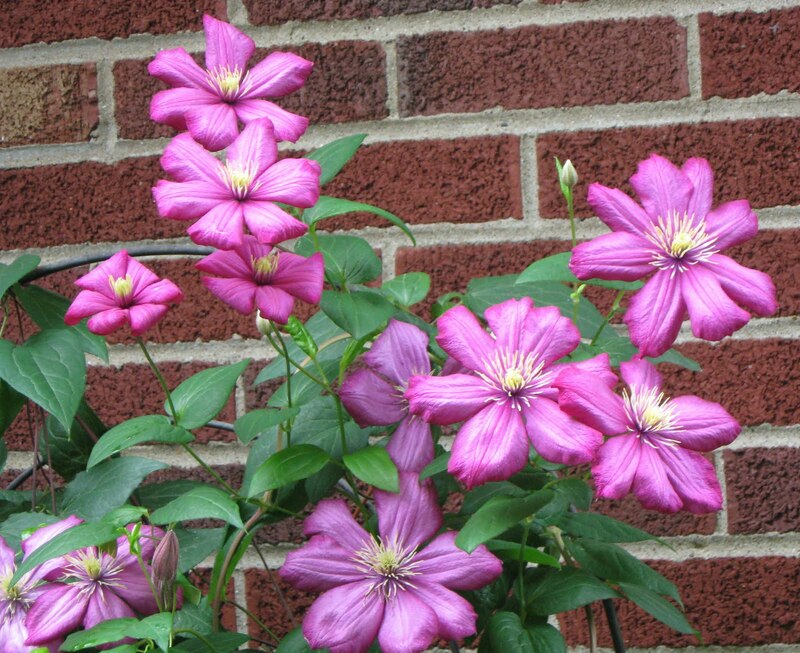 *Latticed Lilac was furnished by the manufacturer or PR firm for review. I really like that grey! And it looks great with the crackle on top. 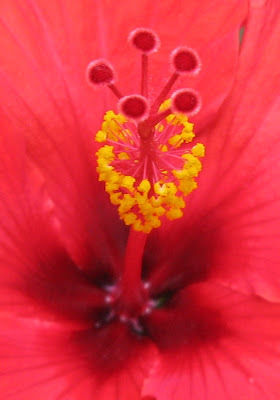 You have such pretty flowers! We've had a lot of rain here, too. It really makes for a boring day. 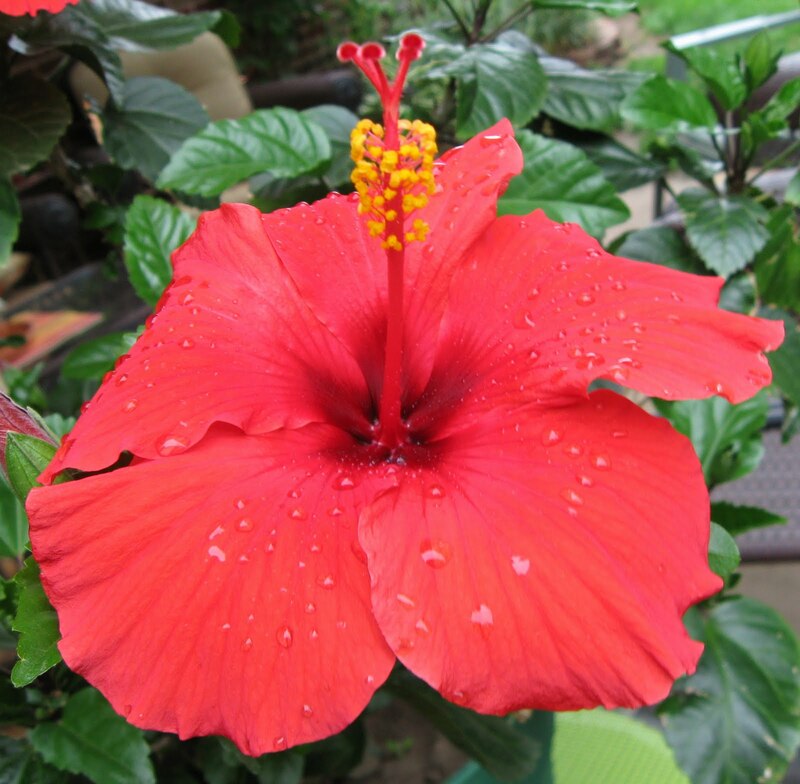 Thank God for your flowers and the beautiful pictures of them. It's been crappy weather here in NJ also. Another overcast day and maybe more rain again. Love the understated manicure. 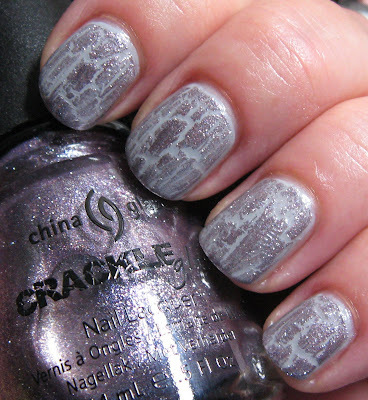 I love to throw on some crackle over my manicure when I have some tip junk going on. Have a wonderful weekend. I like that grey, too! I tought lilac crackle would look more lilac! but it's still pretty! I envy you your rain. We need some so much! This state is burning down around our ears and rain would really help the situation.